Tattoos are either something you love or something you hate, I don’t think there is an in between. 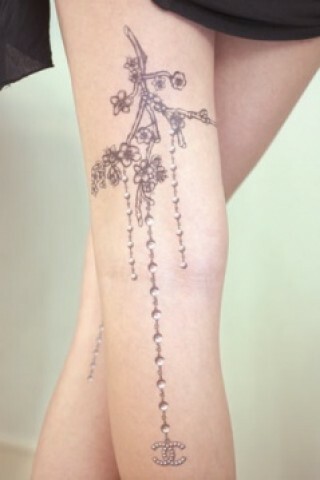 If you are going to get something permanently on your body, it better be something you will always love. More and more these days, runway models are not worrying about being a clean canvas for the designers clothes, and some designers are even incorporating it into their shows. 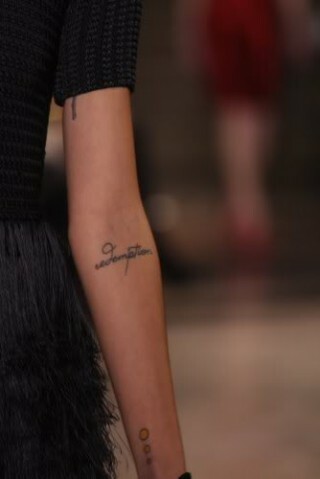 I love delicate and feminine tattoos, especially words – like those of Freja Beha. 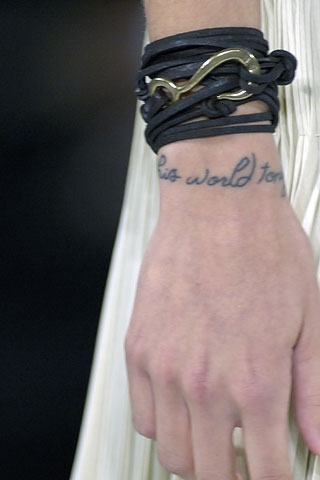 And for those of us who aren’t willing to get that much ink, temporary tattoos hit the Spring 2010 runway in the Chanel line. 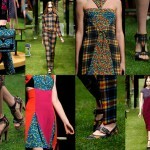 I love that the skin art used on the runway can actually be purchased and worn by anyone. You are perfectly wrong. You can be in between. :) Don’t love them and I think a lot of people are going to have horrid aftermath in the next 20 years. But there is something interesting about what people choose to express. I LOVE the temps, tho. Best of both worlds! 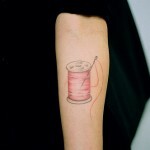 I would still love to get a tattoo….I just can’t decide what and where!! 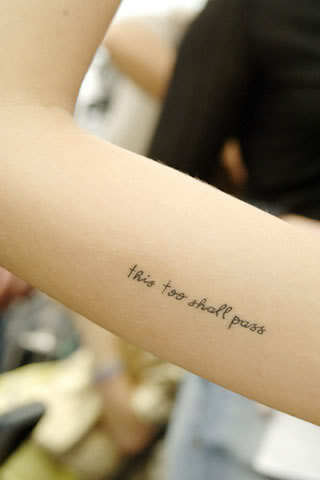 Fantastic photos – I like the ‘this too shall pass’ one best.